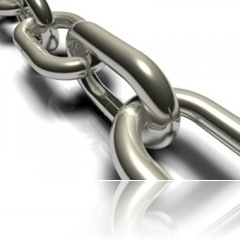 Many SEO Specialists will tell you that Link Building is an integral part of your SEO strategy. However there is a right way and a wrong way to link building. How many of you have ever received emails requesting link swaps? 9 times out of 10 these emails are pre-compiled by some link building software. Not only that but the same email seems to go around and be sent by many different people. Then there is the allure of swapping one link for two. But the problem is that the links to be swapped have nothing to do with your sites niche or theme. Link building certainly has an important role in your SEO strategy. Links on websites are what makes the Internet work, it makes the web go round. Links are doorways or pathways around the net. Links are how we navigate from one site to another. It is the vehicle that allows us infinite access to information. It is the vehicle that draws readers and potential customers to your site or blog. The idea of linking to other web sites was intended to be the web's form of word of mouth advertising. But that idea has been heavily abused. Search engines take the number of links pointing to a particular web site into account when ranking the sites in their index. A link to your web site is seen as a vote for your web site, a vote of confidence. But these links were meant to be natural organic links. Link swapping is neither natural nor organic. There might be many ways to build links but certainly very few are effective. Sending out a pre-designed email begging for links is not one of them. Swapping links for a non related site is not one either. Why would I, whose site is about computers, programming, blogging and SEO, want to swap with a gambling site, or a dog loving site. The search engines place weight factors on the relationship of that link. Then there is the factor of the amount of links on a certain page. If you are one of 300 other links on a page, how much importance do you think the search engines will draw from that? Let alone how important human readers will find those links. Don’t be drawn into swapping links with some unrelated site that will include your link in amongst hundreds of others. The search engines place a big amount of weight on natural occurring links within a web page surrounded by context. Context is the key here. You have heard that Content is King, similarly Context is King when it comes to link building. Rather, a better way of link building would be to get your links embedded into the content of an article on a website surrounded by related context. Wouldn’t it be better to try and swap links this way? I propose that a better way is to offer to write an article or two for your proposed link building partner, embedding their link within the content and context of the article. Then they, your link building partner, would do the same. This is a more natural way and a more effective way of link building. So do you want to build your link naturally? Then get your links embedded into other articles within web pages. Have your links surrounded by content and context. Here is my offer, if you agree with this form of link building, and you want to try this out. Then why not offer to swap links with me. I’ll write an article and include your link in that article and you do the same. We will not only be swapping links but building and promoting one another's blog and or website.